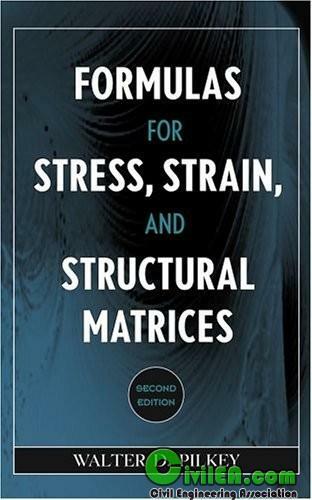 Formulas for Stress, Strain, and Structural Matrices, Second Edition presents and classifies data related to all the applications of stress and strain analysis in a handy and useful single-source reference. Delivering key material not found in other books on the subject, this updated edition enables readers to harness the efficiency and accuracy of today's computers for deformation and stress analysis. This versatile Second Edition provides the critical information needed to identify the responses of general mechanical elements and structural members, as well as to find simple formulas that are organized by member type to facilitate the solution of more complex members. Formulas are given for stresses, displacements, buckling loads, natural frequencies, transient responses, beams, torsional systems, extension bars, frames, thin-walled beams, curved bars, rotors, plates, thick shells, and thin shells. The tables of structural matrices are powerful tools for developing custom computer programs to solve special problems. 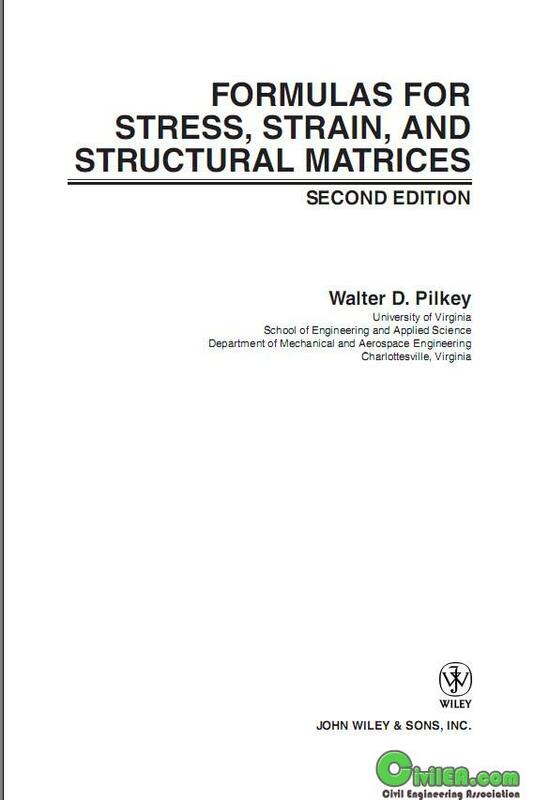 A conveniently organized resource for the strength of material formulas, Formulas for Stress, Strain, and Structural Matrices, Second Edition eases the task of analysis and provides critical information for mechanical, design, civil, and structural engineers as well as stress analysts. Milkshake, proud to be a member of Engineering Forum since Jan 2009.